The dalmatic is a long wide-sleeved tunic, which serves as a liturgical vestment in the Roman Catholic Church, worn by a deacon at the Eucharist or Mass. Striped dalmatic design is woven into the fabric. Color choices of fabric are off-white, red, green and purple. 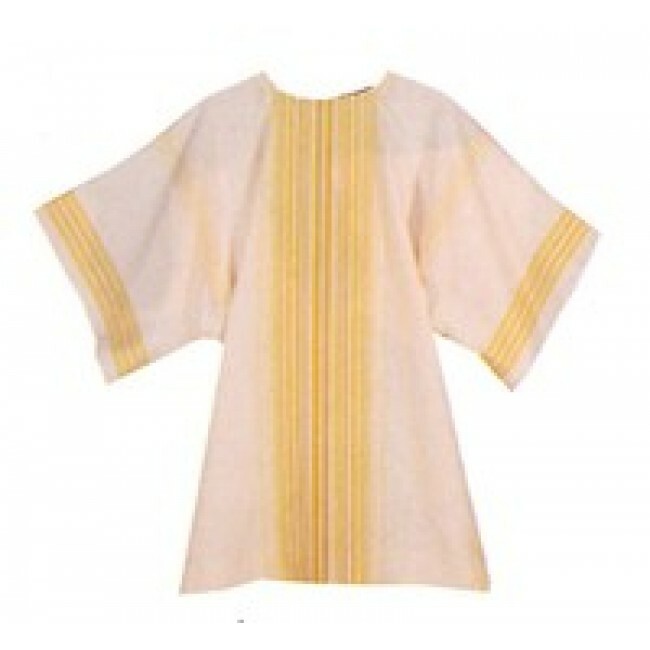 Machine washable and amply cut, dalmatic is fashioned from wrinkle resistant polyester fabric. Matching lined under stole available.